The international research team of CuveWaters under the leadership of ISOE – Institute for Social-Ecological Research has reasons to celebrate: this year Outapi, the small town in northern Namibia, was officially chosen as the nationwide venue for the festivities of the World Water Day by the Namibian government. 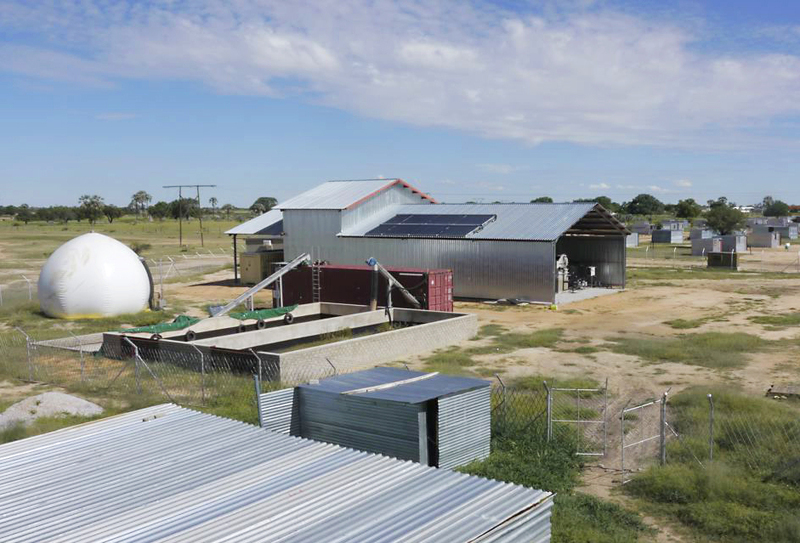 The Ministry of Agriculture, Water and Forestry (MAWF) in Namibia wants to focus on the innovative sanitation plants which were developed in the course of the CuveWaters project. The municipality of Outapi is a partner of the project and runs the plant since the end of 2013. Researchers of ISOE and the Technical University of Darmstadt together with Namibian partners have been supporting the so-called Integrated Water Resources Management (IWRM) in the Cuvelai-Etosha Basin in northern Namibia since 2006. Approximately 850,000 people live here – about 40 percent of the population in urban areas does not have access to adequate sanitary facilities. In order to improve the sometimes dramatic situation for the population, the “Namibian Sanitation Strategy” recommends using efficient flushing toilets in conjunction with innovative wastewater technologies. 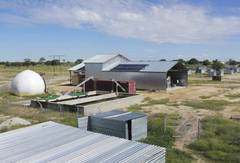 The sanitary facilities are part of a complex disposal, treatment and re-use system that has been developed together with the local population and the Outapi Town Council. The innovative concept is ideal for rapidly growing urban areas in particular: A vacuum system transports the wastewater from settlements in Outapi into a processing plant, where it is purified. A multi-step purification process produces hygienically impeccable irrigation water. Together with the nutrients, the purified water is then used on the fields. A farmers’ cooperative works on this land and sells the crops at local markets. This opens up new sources of income for lots of families. Within the project it is vitally important to involve the local population, as well as training and educating them. “Together with the Community Health Clubs‘ (introduced by Africa AHEAD) which have arisen locally and which help people with hygiene issues, CuveWaters also makes sure that knowledge transfer takes place, in addition to technology transfer,” says project leader Thomas Kluge (ISOE). CuveWaters is a joint project of ISOE in Frankfurt am Main/Germany and the Technische Universität Darmstadt/Germany. It is being funded by the German Federal Ministry of Education and Research (BMBF) within the funding priority “Sustainable Water Management NaWaM”.